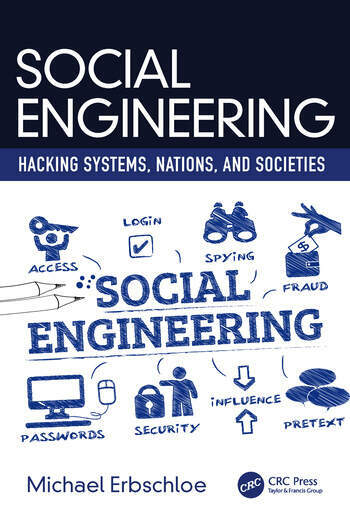 This book analyzes of the use of social engineering as a tool to hack random systems and target specific systems in several dimensions of society. It shows how social engineering techniques are employed well beyond what hackers do to penetrate computer systems. And it explains how organizations and individuals can socially engineer their culture to help minimize the impact of the activities of those who lie, cheat, deceive, and defraud. After reading this book, you’ll be able to analyze how organizations work and the need for security to maintain operations and sustainability, and be able to identify, respond to and counter socially engineered threats to security. 1. Introduction to Social Engineering Use by Bad Guys. 2. The Continuum of Social Engineering Approaches. 3. Criminal Social Engineering Activities. 4. Securing Organizations against Social Engineering Attacks. 5. Social Engineering Attacks Leveraging PII. 6. Hacking the Democratic Electoral Process. 7. Socially Engineered Attacks by Insiders. 8. Educating People to Prevent Social Engineering Attacks. 9. The Accent of Cyber Darkness. Glossary. Michael Erbschloe worked for over 30 years performing analysis of the economics of information technology, public policy relating to technology, and utilizing technology in reengineering organization processes. He has authored several books on social and management issues of information technology most of which covered some aspects of information or corporate security. Mr. Erbschloe has also taught at several universities and developed technology-related curriculum. His career has focused on several interrelated areas: technology strategy, analysis, and forecasting; teaching and curriculum development; writing books and articles; speaking at conferences and industry events; publishing and editing; and public policy analysis and program evaluation. He currently works as a consultant on technology and security issues.